Aren’t there recent reports, the reporter then asked, that “global warming may have been responsible for the intensity of the storms”? No, Bell said, the storms’ intensity was “part of the multi-decadal signal that we see. It’s not related to greenhouse warming.” According to Bell, there was simply no conceivable connection between global warming and hurricanes. And Bell’s denial of a link echoed the statements of other top NOAA administrators and those posted on the organization’s website. 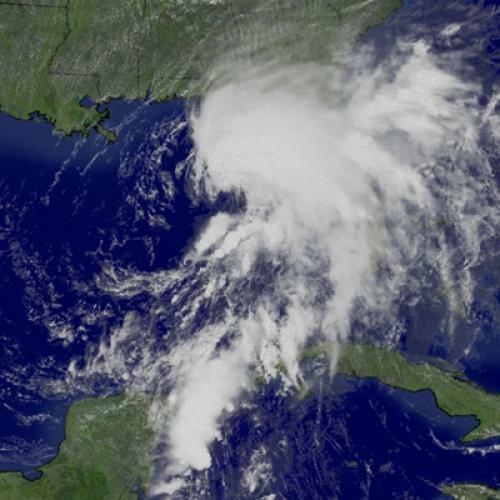 These statements by NOAA officials were widely cited in columns and editorials debunking claims of a link between global warming and hurricanes. Emanuel was not arguing that global warming caused any particular hurricane, including Katrina. “It’s statistically impossible to say this, just as it is impossible to say that a very warm day is a result of global warming,” he explains. “All you can say is that the odds of having a day like that increase when you have global warming.” In other words, global warming didn’t necessarily cause Katrina, but it may be increasing the odds that hurricanes like Katrina will occur. These findings have sparked an intense debate among climate scientists. In response to criticism, Emanuel has modified part of his theory without discarding the whole. According to Kennedy, forthcoming papers by Emanuel and by Kevin Trenberth of NCAR could strengthen the case for a link between hurricanes and global warming. In the meantime, however, NOAA, which has never before taken an official position on such a raging scientific controversy, is making pronouncements suggesting that there is no debate at all. In making these statements, NOAA officials have sometimes included carefully crafted caveats designed to deflect criticism from scientists who know about the controversy. But, because they don’t acknowledge the debate explicitly, the general public is likely to miss the caveats’ significance. Appearing before a subcommittee of the Senate Commerce Committee on September 20, for instance, Max Mayfield, the director of NOAA’s National Hurricane Center, said, “The increased activity since 1995 is due to natural fluctuations and cycles of hurricane activity, driven by the Atlantic Ocean itself along with the atmosphere above it and not enhanced substantially by global warming.” NOAA officials also resort to clever ambiguities that elude the public. They deny, for instance, any link between global warming and hurricane “activity”—a term that glosses over the distinction between frequency and intensity. The November issue of NOAA’s online magazine declares that “NOAA attributes recent increase in hurricane activity to naturally occurring multi-decadal climate variability” (italics added). As expected, Rush Limbaugh, Rich Lowry of National Review, The Washington Times, and other conservative voices have cited NOAA to attack what Limbaugh has called “the global warming crowd.” But NOAA’s and Mayfield’s statements have also influenced mainstream commentators. Citing Mayfield, USA Today editorialized against “global warming activists” who were turning the “storms into spin.” CNN correspondent Ann O’Neill counseled against attributing hurricanes becoming “bigger and meaner” to global warming. “Don’t rush to blame it on global warming, experts warn,” she wrote. And two of the experts she quoted were Mayfield and Chris Landsea, Mayfield’s colleague at the National Hurricane Center. Citing Mayfield, a Chicago Tribune editorial issued a similar admonition against linking hurricanes with global warming. Georgia Tech’s Curry, who also serves as a NOAA adviser on its Climate Working Group, thinks that what is happening at the organization is an “absolute disgrace.” Curry knows of NOAA scientists who disagree with NOAA’s position on hurricanes and global warming but are being told not to talk to the press.”They are being muzzled,” she says. Curry also says that officials have been trying to prevent certain scientists at the National Climactic Data Center from even working on the problem of hurricanes and global warming. “You hear about Hansen, but NASA is not really that bad. NOAA is really, really bad,” she says. Lautenbacher’s predecessors regularly voiced their opinions on scientific subjects, but they usually tried to steer clear of politics, and they didn’t pretend to be presenting an official position on a scientific controversy. But, under Lautenbacher, NOAA has been plunged into Bush administration politics. With the issue of hurricanes and global warming, the organization has entered the even murkier realm of scientific censorship. NOAA, which once exemplified the constructive relationship between science and government, has become an instrument of what author Chris Mooney calls “the Republican war on science.” And, in this war, the public is the real casualty.